If one takes stock of one’s life, what one finds doesn’t always look pretty. The self-help and self-healing industry has skillfully adjusted to the fact that many people want to rid themselves of their personal demons. 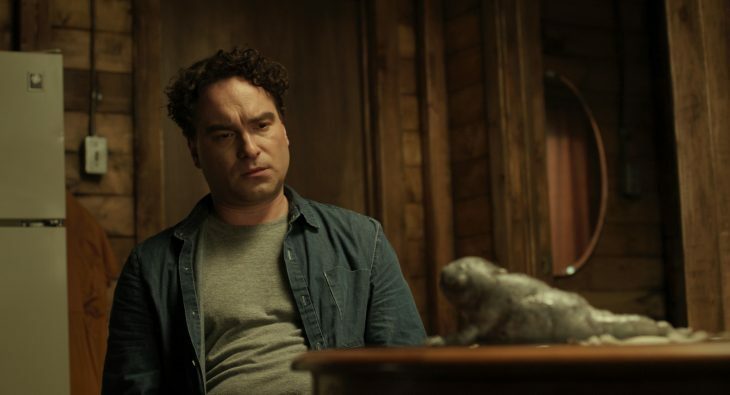 Bobby Miller’s fantastic film debut “The Master Cleanse” tells the story of a young man (Johnny Galecki), who’s in a deep depression after separating from his girlfriend. A TV commercial draws his attention to a miraculous cure. After successfully applying, he heads off to a camp, sealed off from the real world, to have himself cleansed. “Juice fast” expert Anjelica Huston runs a tight ship, completely in the sense of her guru Oliver Plat, who’ll join up with the participants in the last phase of the experiment. Until then it’s knocking back disgusting juices, until suddenly the emotional pain plops out in the form of a delightful little monster. Conceptwise “The Master Cleanse” finds itself in the best of company. Despite all the similarities with Frank Henenlotter’s “Basket Case” or Jacob Vaughan’s “Bad Milo” (/slash 2013), “The Master Cleanse” became a beast of its own: a tender, soulful, but pretty absurd statement on today’s self-optimization insanity.